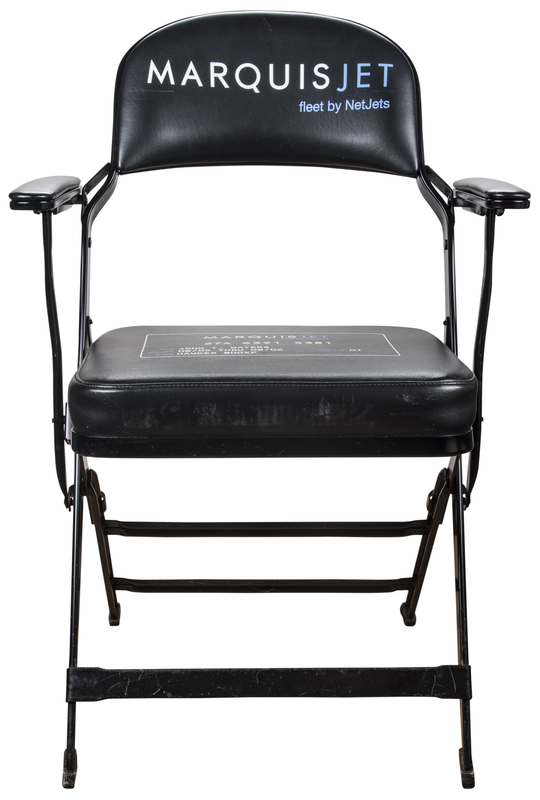 Offered here is a black folding chair used in the visitor’s locker room of Shea Stadium during the hallowed ground’s final season, in 2008. 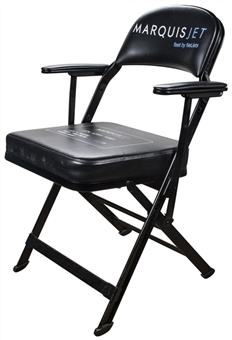 The chair is constructed of black metal and black seat cushions. A Marquis Jet advertisement is printed on the headrest, while the seat cushion is printed with a mock-up of a Marquis Jet credit card. 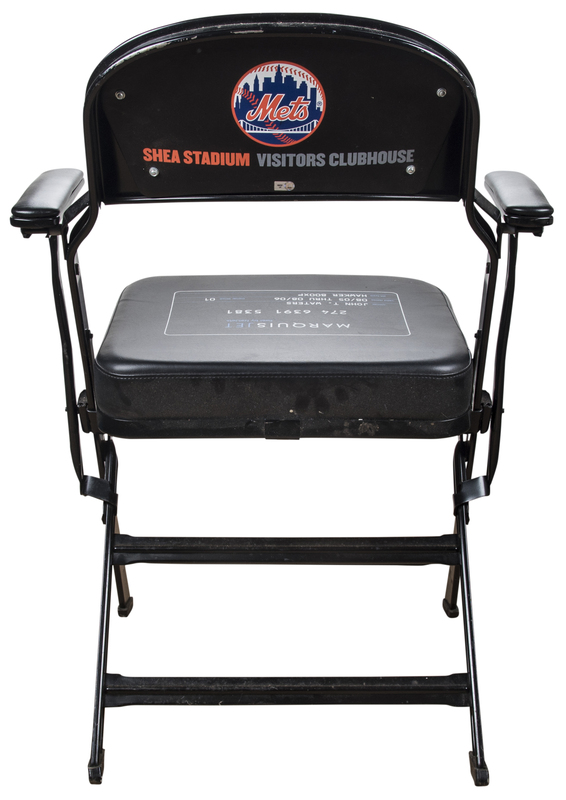 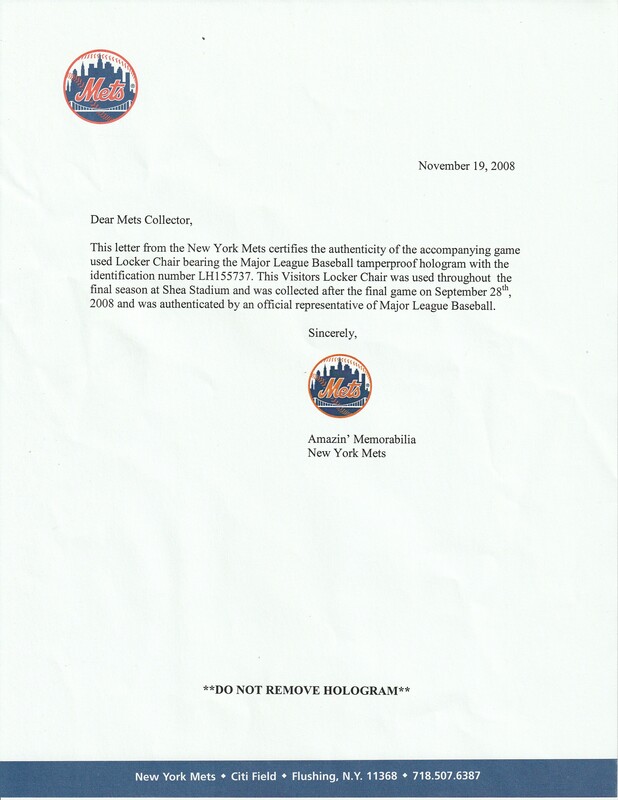 The back of the headrest is printed with “Shea Stadium Visitors Clubhouse” and a Mets skyline logo. 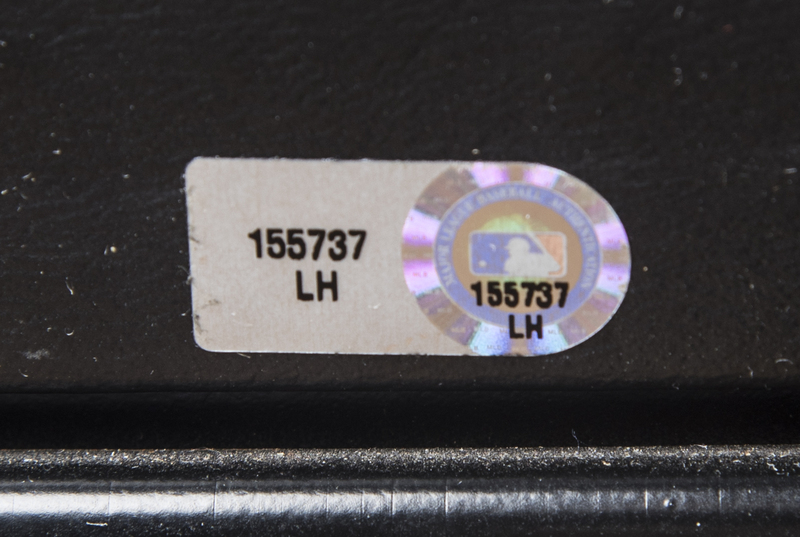 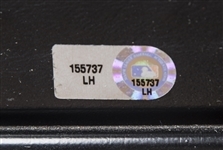 This chair comes with a MLB Authenticated hologram (LH 155737) and a LOA from Amazin’ Mets Memorabilia.